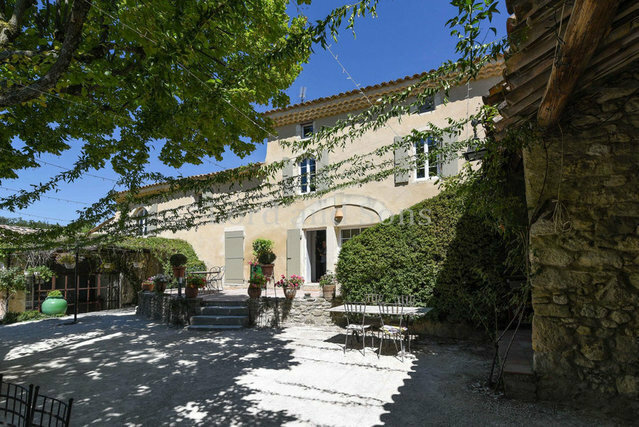 Grignan area, bastide of about 320m ² with outbuildings on 4.5 hectares of land. The bastide consists of a reception room of 95m², a separate fitted kitchen, 6 bedrooms, 5 of which have private shower rooms, two swimming pools, a large garage (which can hold 6 cars) and a carport. 3 independent cottages complete the property, each with a lounge/equipped kitchen, 2 bedrooms, shower/toilet, but also 2 mobile homes and a perched cabin with a breathtaking view of the surrounding lavender fields. A heated swimming pool is reserved for bastidons. The whole is a stone's throw from the tourist villages of the Drôme Provençale, to be discovered! Business with a lot of potential, rental of cottages, events, etc..